PennsylvAsia: Princess Mononoke (もののけ姫) around Pittsburgh for Studio Ghibli Fest, July 22, 23, and 25. 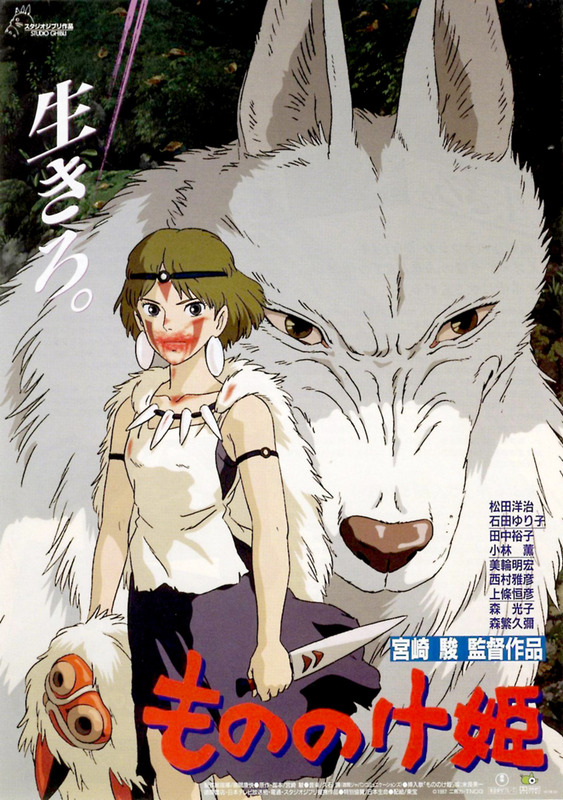 Princess Mononoke (もののけ姫) around Pittsburgh for Studio Ghibli Fest, July 22, 23, and 25. Hayao Miyazaki is a great animator, and his "Princess Mononoke" is a great film. Do not allow conventional thoughts about animation to prevent you from seeing it. It tells an epic story set in medieval Japan, at the dawn of the Iron Age, when some men still lived in harmony with nature and others were trying to tame and defeat it. It is not a simplistic tale of good and evil, but the story of how humans, forest animals and nature gods all fight for their share of the new emerging order. It is one of the most visually inventive films I have ever seen. The July 22 and 25 screenings will be dubbed in English, and the July 23 screening will have English subtitles. It will play at the Cinemark theaters in Monaca, Monroeville, Pittsburgh Mills, and Robinson. Tickets are available online.